Manipulate the unpredictable power of matter and physics to smash jewel colored polygons to bits, inciting a polygon "katastrophe." Test your skills on challenging patterns and obstacles. Increase your potential with elemental power ups, then stack them together to combine their power. Do it all while soaking in the relaxing tones and electric glow of this Greek inspired 3D polygon breaker. Bounce into Katastrogon 3D: The Aeolian Order. 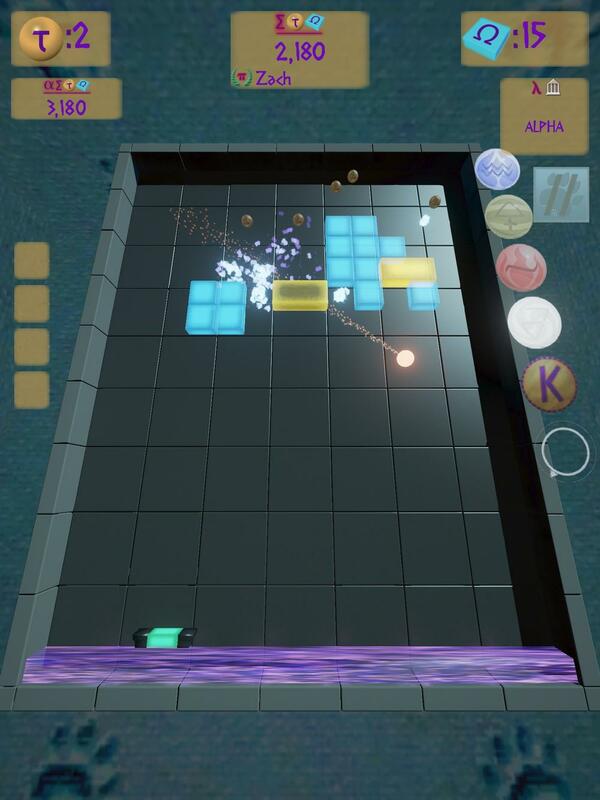 K3D is a retro inspired block breaker for the iOS, Android, and Amazon platforms. It is free to play and allows players to choose either a relaxing casual experience, or an amped up, fast paced, challenging ride which can be enjoyed for a few minutes or several hours. Bounce over to our download sites and get K3D for your platform today.